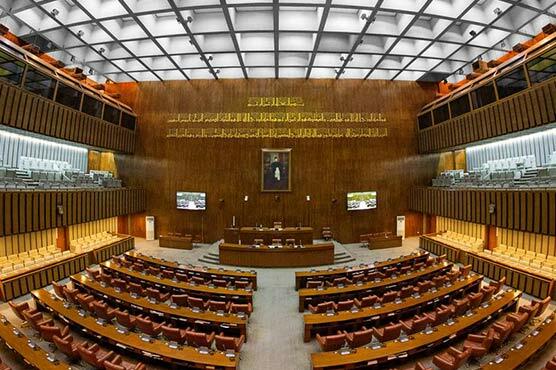 ISLAMABAD: The Senate Standing Committee on Information on Monday expressed strong reservations over the PTI government’s newly-proposed advertisement policy for print media and electronic media. The committee directed the government to present the government advertisement policy for media in the committee meeting before its implementation. The body expressed reservations over the absence of Information Minister Fawad Chaudhry in the session and directed him to ensure his presence in the next meeting. The meeting was held under the chair of Senator Faisal Javed at the Parliament House. The Senate body reviewed various matters pertaining to the public. The chairman said the meeting was supposed to review the matter in connection with the government’s advertisement policy during the presence of the information minister. He said employment of thousands of people is directly linked with the government’s commercial policy. Senate Javed said the Ministry of Information should take the Senate body into confidence before drafting the media advertisement policy. He said the committee members also expressed their strong reservations over the government’s new media policy. The committee told the government to present the new draft of media policy in the committee for review. The committee will prepare recommendations for media advertisement policy after the review in the next meeting, he added. Senator Malik said that the Supreme Court had clearly ordered that the under proceeding and investigation cases will not be discussed on media, adding that the matter is not only embarrassing for the opposition but also for the government.